Hello everyone!!! It’s Siham again! In my last article, I told you that next time, I’ll will show you what I visited or discovered in London! 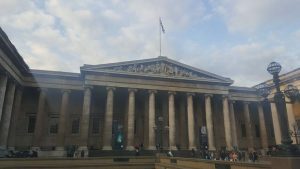 Do you know that almost all museums are FREE in London? We’re so lucky!! It’s not common in other cities! So, why not enjoy it? I haven’t visited yet all museums, but I really wish to! 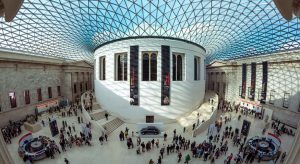 Today, I’ll present only BRITISH MUSEUM because I have been there many times and I knew it quite well! 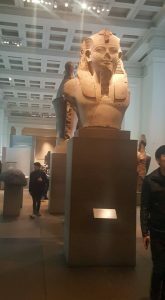 Standing in front of British Museum, I was excited how historical and archaic this building is! Whoa!!! I feel instantly that there must be treasures inside for us to discover! And when I entered inside, I was surprised by the contrast between outside and inside. The modern design amazed me! It’s impressive! Gigantic! Absolutely luminous! 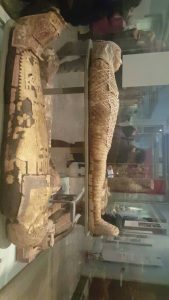 This museum exhibits creations of human with collections from all over the world. You can find sculptures and objects from America, Asia, Africa and Europe. I really loved the ancient Egypt! I was impressed! See YA next time for another museum or place in London!